This post may come too late for anyone looking for Christmas present ideas, but it would certainly be worth treating yourself with any Christmas money you still have. This is a fabulous book! You may already know of Fiona Pullen. 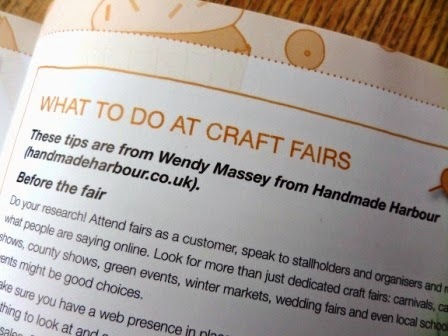 She's written for sewing and craft magazines (often business-related articles) and many blogs, including for us here at Handmade Harbour. She's also the brains behind the Sewing Directory, a fabulous website that pulls together everything sewing related. What I love best about Fiona's book (apart from the fact it's packed to the brim with useful information) is that it's one of those books you can pick up and read in bite-sized chunks. It's a dip-in kind of book. You could sit and read it in order from front to back, but you really don't have to. Fiona originally qualified in law - and it shows in her no-stone-unturned approach to research and writing - this is a well-researched book. 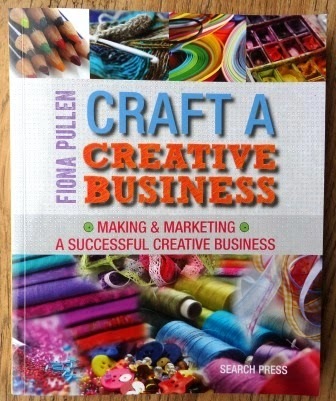 If you want to set up a small craft-related business, then this book will get you started in great style. If you already have a small business, you will definitely learn something by reading this. 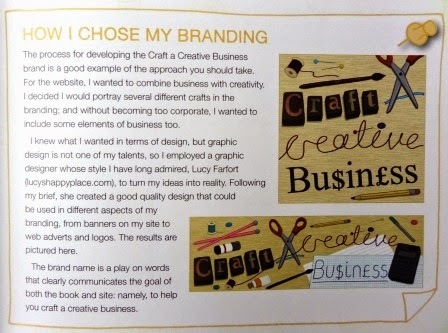 Want to know about how to start up a business from scratch, branding, tax, insurance, presentation, social media and blogging, online marketplaces, promotion, offline selling or networking? It's all here - and more. It's one of those lively, go-to books that could happily sit on a bookshelf for years and be referred to on a regular basis - as a learning tool, a motivation tool and a reminder of the things you need to be doing to get your dream off the ground. The only thing missing is the coffee and cake. But you can provide that yourself, I'm sure. If you are in the UK, you can buy the book here and if you are in the USA you can find it here. 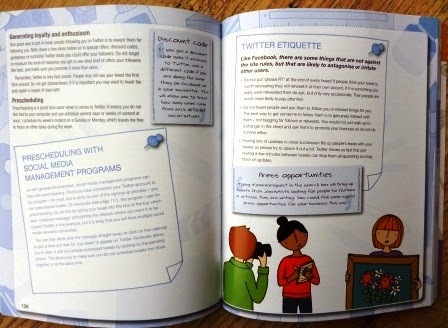 You can also buy it directly from the publishers at Search Press. Enjoy!